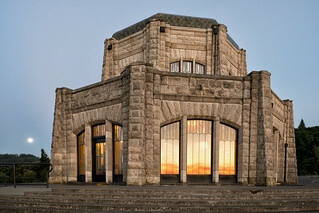 Vista House is an observatory at Crown Point in Multnomah County, Oregon, that also serves as a memorial to Oregon pioneers and as a comfort station for travelers on the Historic Columbia River Highway. -Wikipedia. Samuel Lancaster, Assistant Highway Engineer for Multnomah County in 1913, supervised the Columbia River Highway project. Lancaster’s proposal to construct a building on the summit of Crown Point was another reflection of his desire to inspire the traveler along the highway and to make the wonders of the gorge accessible. Courtesy of Flickr – Photo by John Fowler 8/1/2012 Creative Commons some rights reserved. Some people who did not like this building calls it, “the million dollar bathroom” as there’s not much inside except for bathrooms, a gift shop, and some exhibits. For visitors like myself, I appreciate the beautiful building and it looks amazing when I saw it from afar. Check out my photo post of the Columbia River Gorge where you can see The Vista House. 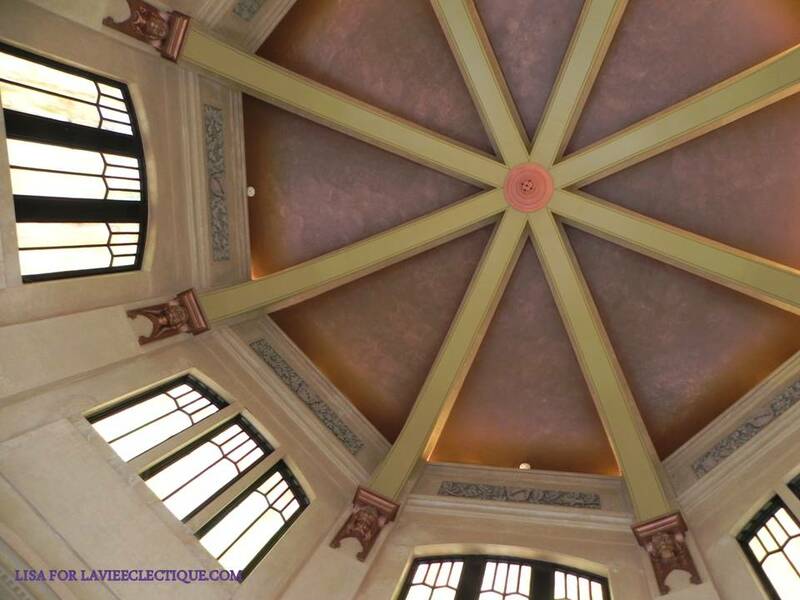 Here’s a photo of the ceiling inside The Vista House. Call ahead to find out if they are open as they close when weather becomes unpredictable. ← Congratulations to the SF GIANTS for the World Series WIN! Beautiful photos! It’s a magnificent building and location! Stunning. This place is simply magical.